So, you’ve published a whitepaper, guide, slide deck, or other big, important piece of content. You upload the entire document (or better idea, upload a preview) to SlideShare, because you want to share it to the most used visual content platform, which just so happens to be owned by the world’s largest professional network, which in turn is owned by Microsoft. Makes sense. But why stop there? You don’t just share your blog post to Facebook, you share it to Twitter, LinkedIn, etc. for optimal awareness. Why not do the same with your big content too? Let’s get this out of the way, I love SlideShare. I loved it more when they gave analytics that extended past one year and offered a paid lead generation account for $20/month that wasn’t rolled into a LinkedIn account, but that’s just me. In fact, once upon a time, I was so amped on SlideShare, I even wrote a whitepaper on best practices for SlideShare marketing, and will egregiously plug it—because, why not? Did you know you can put links in your SlideShare presentations? It’s true. However, it’s a presentation-only feature, so your documents just have dead links sitting in them. It’s easy to look past these issues, because SlideShare is by far the most visited and used platform for posting documents and infographics—the 144th most popular website on the web and 416th most popular in the United States. However, when it comes to promoting your content like whitepapers, infographics, and the like, you should be getting it in front of as many eyes as possible, meaning that you should focus on distributing it through a multitude of channels—find the reader where he or she is searching. This is why I would like to share with you today some of the easiest places to publish whitepapers, presentations, and sometimes infographics so that you can generate leads and send traffic back to your website. Many of these sites are in the top 25,000 websites in estimated traffic, some of which offer follow links. While this differs from our 20 Free Infographic Submission Sites blog (many of which are sadly no longer free—see my blog Paid Infographic Sites: The Fastest Way to the Bottom), there is some overlap between the lists. While posting your entire infographic is a necessity, don’t post your entire whitepaper or presentation. As marketers, we’re all here to find new clients/customers, so we recommend posting the first few pages (the table of contents, an introduction, and maybe the first section) followed by a link to your landing page. As mentioned above, this was a weakness of SlideShare, as the links don’t work in anything besides presentations. Comparatively, sites like eDocr, issuu, and calameo each include live links in your documents. So, without further ado, the top 5 sites for publishing content you’d otherwise only post to SlideShare. 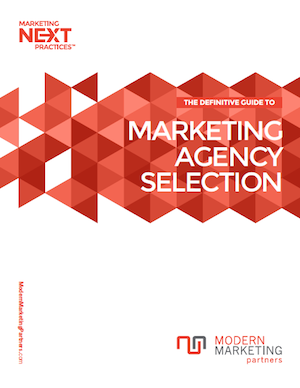 To test each platform, I will be posting the MMP Guide to Selecting a Marketing Agency, one of our most popular whitepapers (which you can download here). Scribd acts as both a book publishing platform for paid readers as well as an open platform for publishing and sharing documents of all kinds. To date, people all over the world have shared more than 60 million documents via Scribd, from landmark court filings to business presentations to academic papers from scholars around the world. As one of the larger and easier to use platforms for sharing whitepapers, eBooks, and other guides, scribd is a worthwhile choice in the directory/promotion scene. Links within your documents do work, and embedding is easy, with embed codes designed to autosize. While the process for adding tags and categorizing the documents is kind of odd, the “discoverability score” is comparable to SlideShare and helpful in optimizing your document. File Types Supported: PDF, Word (DOC), Powerpoint (PPT), Open Office (ODS, ODP), WordPerfect (WPD), Rich Text Format (RTF), Star Office (SXI, SXW). From giants of the publishing industry to art-school graduates seeking a first job, issuu gives anyone with digitally bound content the ability to upload and distribute their publications worldwide. In just minutes. And as often as they’d like. More than 20,000 publications are uploaded and shared every day including magazines, newspapers, portfolios, catalogs, corporate literature, DIY guides, community programs and more. With free and paid models, ISSUU is one of the larger sites on the web for posting documents with 30 million documents uploaded and 100MM+ monthly active users, presentations and other publications. Paid subscriptions allow full-screen sharing, additional customization, statistics, auto-detection of links, and more, but the free model is great if you just want to upload a document and share it. ISSUU is also one of the more visually stunning applications for documents upload, converting PDFs and presenting in a magazine format. File Types Supported: PDF, doc, docx, ppt, pptx, xls, Open Office, and more. Calaméo is the first multilingual digital publishing platform and has a community of five million users worldwide. Calaméo provides private and professional users with a dynamic and innovative medium to instantly publish and share interactive and multi-media magazines, brochures, reports, newsletters, presentations, catalogues and e-books on any device. While not immensely popular in the United States (majority of traffic from France, Mexico, Spain, Columbia, and Venezuela), I do like the magazine format, the ability to add links to your document, and the ease of embedding. There is no tagging or categorization on the platform for basic users, and basic users do have ads put on their documents, but the platform is well designed and a worthwhile consideration for sharing your documents. There are premium options available if you needed more storage, wanted to publish something larger than 500 pages, etc. authorSTREAM is a platform for sharing PowerPoint, Keynote and PDF presentations on the Internet. authorSTREAM makes it easier to share your slideshows through blogs, websites, on YouTube and even via iPOD. What’s best is that it’s all FREE! Just sign-up, upload presentations and start sharing. For presentations authorSTREAM allows a multitude of features like sharing presentations on YouTube, adding voiceovers, and sharing via iTunes, as well as the ability to download presentations and sharing privately. Although focused on presentation sharing, I enjoy this site for sharing documents like whitepapers. You are limited to five tags, analytics are premium account only, and links within documents/pdfs aren’t automatic, but authorSTREAM is functional and useful for uploading documents and presentations. edocr offers a lot of customization options—categorization, the ability to add documents to collections, the ability to add links in a description, your choice of how the document displays, and more. I personally find edocr as a viable alternative to SlideShare, despite being the least trafficked site on this list. Offering many of the features I enjoyed from the old SlideShare (lead generation, gating), as well as some other features I would have loved from SlideShare (NAP add-ons, click to call), I personally believe edocr will gain traction in the future. While this was more focused on distributing whitepapers, guides, and eBooks, there are a multitude of sites that allow you to create and/or post presentations including but not limited to Prezi, Speaker Deck, Projeqt, PreZentit, Present.me, slideboom, SlideRocket, SlideDog, BizSugar, and so many more. Again, the first place we post is SlideShare, but it is important to post in a multitude of places to reach as many eyes as possible. Have any to add? Share your thoughts in the comments section below.